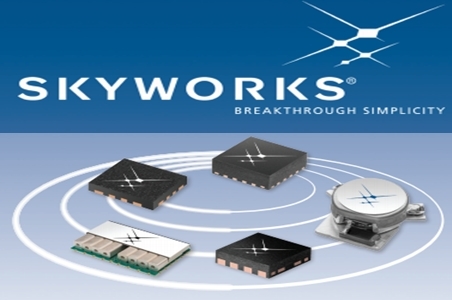 WOBURN, Mass.–(BUSINESS WIRE)– Skyworks Solutions, Inc. (SWKS) (NASDAQ (NBI): SWKS) an innovator of high performance analog semiconductors connecting people, places and things, today reported fourth fiscal quarter and year-end results for the period ending October 2, 2015. Revenue for the fourth fiscal quarter was $880.8 million, up 23 percent year-over-year and, as previously announced, exceeded the Companys guidance of $875 million. On a non-GAAP basis, operating income for the fourth fiscal quarter of 2015 was $335.2 million, up 42 percent from $235.7 million in the fourth fiscal quarter of 2014. Non-GAAP diluted earnings per share for the fourth fiscal quarter was $1.52, $0.01 better than guidance and up 36 percent from the $1.12 reported for the fourth fiscal quarter of 2014. On a GAAP basis, operating income for the fourth fiscal quarter of 2015 was $297.6 million and diluted earnings per share was $1.18. For fiscal year 2015, revenue was $3.26 billion, up 42 percent from fiscal 2014, while non-GAAP diluted earnings per share was $5.27, up 63 percent year-over-year. GAAP diluted earnings per share for fiscal 2015 was $4.10. Skyworks is playing a pivotal role in enabling major technology advancements within mobile connectivity, streaming media services, and the Internet (HHH) of Things, said David J. Aldrich, chairman and chief executive officer of Skyworks. We are successfully executing on our strategy of leveraging world-class systems design capabilities and integration leadership to deliver the industrys most advanced analog connectivity systems. Entering fiscal 2016, we are well positioned to continue delivering growth and profitability in excess of the broader semiconductor market. Fiscal 2015 was a record year for Skyworks across all metrics, said Donald W. Palette, executive vice president and chief financial officer of Skyworks. We are capitalizing on favorable end market trendsleveraging our differentiated systems solutions portfolio to expand our addressable opportunity and enhance our financial returns. We continue to strategically position our business to take advantage of the tremendous growth opportunity we see ahead in our served markets. For the first fiscal quarter of 2016, we anticipate revenue between $925 million and $930 million, with non-GAAP gross margin in the range of 51 percent. We forecast non-GAAP diluted earnings per share of $1.60. Skyworks Board of Directors declared a cash dividend of $0.26 per share of the Companys common stock, payable on December 10, 2015 to stockholders of record at the close of business on November 19, 2015. Skyworks will host a conference call with analysts to discuss its fourth fiscal quarter 2015 results and business outlook today at 5:00 p.m. Eastern time. To listen to the conference call via the Internet, please visit the investor relations section of Skyworks’ website. To listen to the conference call via telephone, please call 800-230-1074 FREE (domestic) or 612-288-0329 (international), confirmation code: 371494. Playback of the conference call will begin at 9:00 p.m. Eastern time on November 5, and end at 9:00 p.m. Eastern time on November 12. The replay will be available on Skyworks’ website or by calling 800-475-6701 FREE (domestic) or 320-365-3844 (international), access code: 371494. Skyworks Solutions, Inc. is empowering the wireless networking revolution. 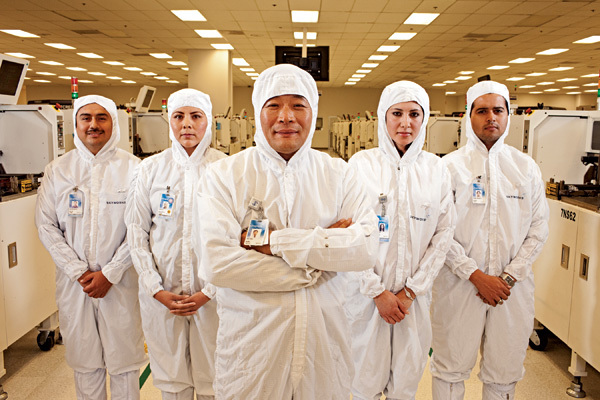 Our highly innovative analog semiconductors are connecting people, places, and things, spanning a number of new and previously unimagined applications within the automotive, broadband, cellular infrastructure, connected home, industrial, medical, military, smartphone, tablet and wearable markets. Headquartered in Woburn, Massachusetts, Skyworks is a global company with engineering, marketing, operations, sales, and service facilities located throughout Asia, Europe and North America. For more information, please visit Skyworks website at: www.skyworksinc.com.